Spain has been unable to maintain its strong growth of international visitors of recent years, while Turkey is attracting more holidaymakers again. Greece is also reporting rising visitor numbers. Following a steady decline in the past few years, tour holidays are back in favor with European tourists. Overall, European outbound travel grew by five per cent during the first eight months of the year. The outlook for 2019 is also positive. 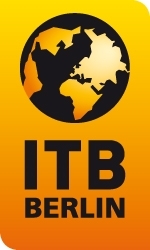 Further growth can be expected according to the World Travel Monitor® conducted by IPK International and commissioned by ITB Berlin.